Shelf Life 1 years Min. 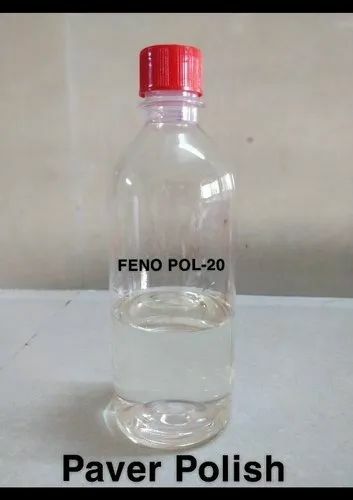 FENO POL-20 is a colorless water like transparent liquid. It provides greater coverage area and High quality Glossy coating over paver blocks. A visionary entrepreneur, committed philanthropist and industry veteran with near three decades of expertise in speciality chemicals, Dilip Jain, founded D.K.Corporation specializing in chemical trading, in 1989. He earned his MSc in Organic Chemistry from University of Pune and started working at a chemical manufacturing unit after completing his graduation. While working, his sharp business acumen attracted his attention to the scarcity of raw material availability in the Central India region, which was plaguing the aspirations of continuously growing chemical industry. A stalwart, with strong desire to see Central India region on the chemical industry conglomerate map, he quit his job and subsequently founded DK Corporation in 1989. Ever since, his profound knowledge of multitude of chemical industries, zeal to continuously learn and improve, provide cost effective solutions and an honest intent to better serve the business community has established D K Corporation as a trusted manufacturer of Speciality Chemicals across India.